This Wedding template is responsive, retina-ready WordPress theme designed for couples who want a stylish website to celebrate their upcoming wedding. 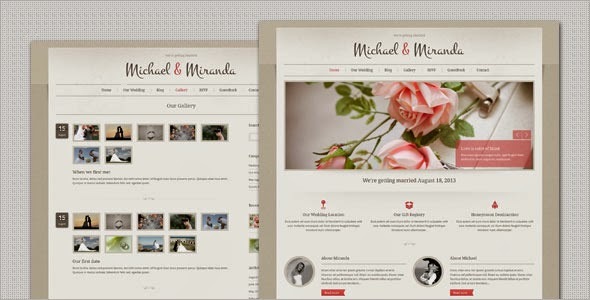 Item Reviewed: Wedding - Classic and Elegant Responsive WordPress Theme 9 out of 10 based on 10 ratings. 9 user reviews.